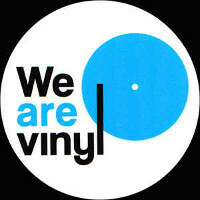 We Are Vinyl is a UK-based online vinyl record store run by Sony. They sell re-issues of existing releases. 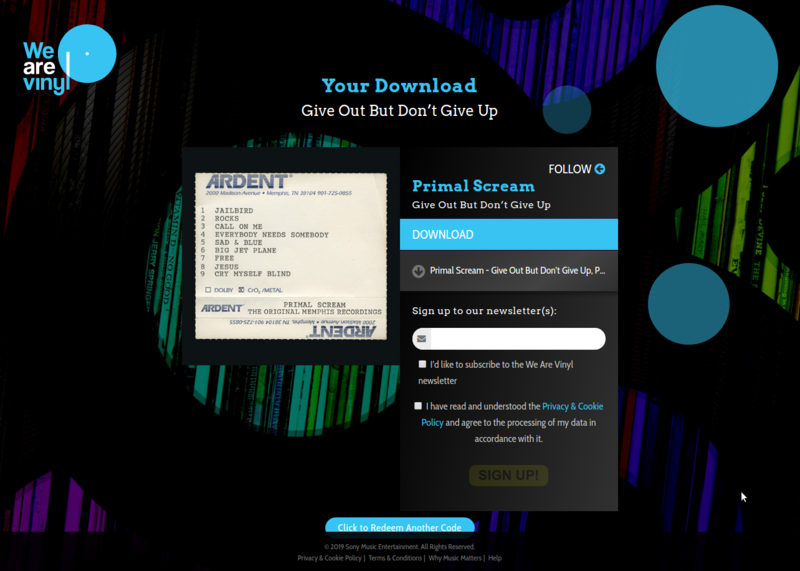 As well as selling vinyl records, each purchase comes with a free digital download. I recently purchased Give Out But Don't Give Up: The Original Memphis Recordings, a re-issue of 1994's Give Out But Don't Give Up (the BBC screened a documentary about it which you can see if you're in the UK). So this seemed like an ideal opportunity to assess the downloaded files provided by the We Are Vinyl store. Straightforward - I simply downloaded the zip. Once downloaded and extracted I was a little disappointed to find MP3s inside. It looks like there are no options to download lossless recordings of the release. I would prefer a FLAC version. But I'm not a format queen so let's move on. There are a two main problems here: (1) the grouping of the discs within a non-canonical album title and (2) the macOS metadata. The non-canonical album title used to group both discs is Give-Out-But-Dont-Give-Up. Really, this should include the The Original Memphis Recordings subtitle. This is worrying, because it suggests the all-important tagging within the music files may be similarly incorrect. In addition the disc folder name is over the top and contravenes the goal of minimal file paths; a simple CD1 and CD2 would suffice. However, the worse of the sins is the inclusion of macOS metadata in the download. These are the . *DS_Store files and the __MACOSX folder. This suggests the filesystem used to store these files has, at some stage, been exposed to a macOS machine browsing the files. This might naturally be part of We Are Vinyl's process of making the files available, but the inclusion of these files in the end download to the user looks amateurish. The first thing I noticed about the download's cover art was that... there wasn't any. At least, not in the folder that was zipped up. Fortunately there was artwork embedded inside the music files. These were 500x500 JPEGs. Adequate for my use, but many people might prefer something higher resolution. Fortunately that's easy (along with the missing folder art) to fix in bliss. The tags are probably most important; they dictate how most music players group albums, where the albums are listed, the order in which tracks are played, how the album is structured and more. Being MP3s, these files are tagged with ID3 tags. In this case they came with an ID3v1.1 and an ID3v2.3 tag. This is good; some (very) old players only handle the former. When we look inside the tags though, problems emerge. First, on correctness, the same mistake seen with the folder names is repeated: the album name is the same as the original release. If, like me, you also have the original Give Out But Don't Give Up and you import the first disc of files the original release and this new one may be merged into one album. The disc number artifacts could be added to help listeners with players that don't support DISCNUMBER... but here it's the inconsistency between the two discs that's most irksome. On that note, DISCNUMBER support is non-existent. While the disc number artifact helps separate discs for very old players it would be better to have a DISCNUMBER field for all files and most listeners can remove the disc number artifact from the album title. And while we're on the subject of missing tags... I'm generally one for minimalism but there are some important fields ignored here: ALBUM ARTIST, YEAR and GENRE are all missing. Luckily, all are easy to fix with bliss. One final one; another inconsistency. Some tracks are missing the full subtitle in their track name which is present in the filename. Remove macOS metadata files from the download. For multi disc releases, rename the CD folders to simply CD 1 etc. Change the embedded artwork to a larger version. Store the embedded artwork as a folder.jpg inside each disc folder. Ensure all album title tags are consistent across all discs. For re-issues and special editions, ensure the album title tag includes the canonical subtitle. Add GENRE, YEAR andDISCNUMBER (for multi-disc releases) tags. Hope that helps anyone downloading We Are Vinyl digital downloads!